Nestled in between Mexico and Guatemala, Belize is a country that’s undoubtedly Caribbean despite being in the heart of Central America. The only English-speaking country in the region, Belize is a fusion of both its Caribbean and its Latin identity. This former English colony mixes Reggae with Latin Trap and Rum with Tequila and although tiny it’s one of the most beautiful and diverse countries in Central America. I only had a few days in Belize but having seen pictures of it online I knew I had to fit it in to my trip. 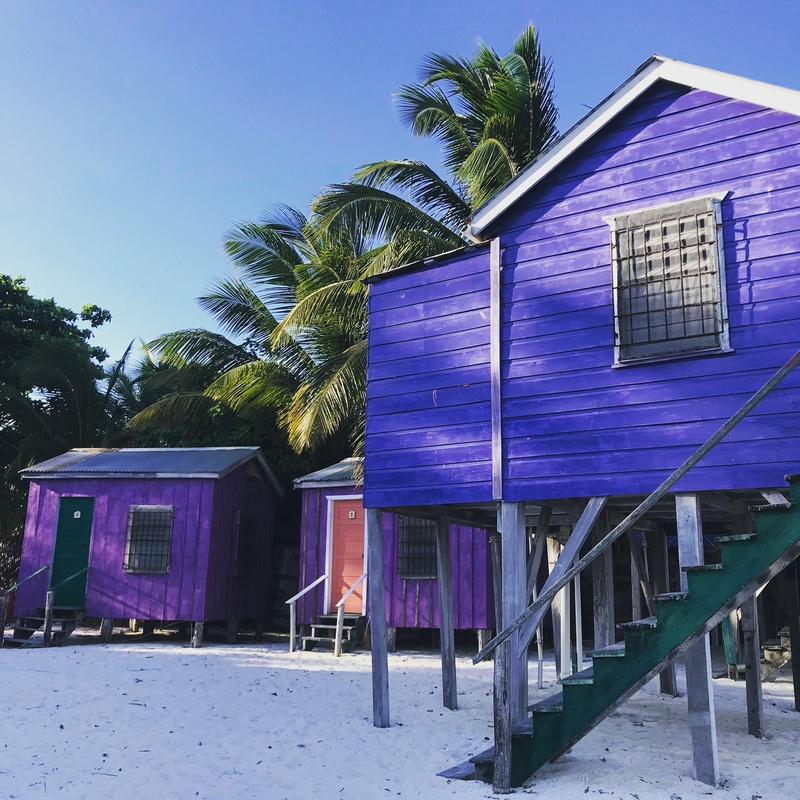 While the country’s quite popular with Americans, overall it’s not as popular a choice compared to other Caribbean islands but Belize has so much more to offer in many ways. If you still need convincing, here’s a few more reasons why you should plan a trip to this hidden gem. If paradise exists, then it would probably look like the tiny island of Caye Caulker. Just eight kilometres in length this beautiful island an hours ferry ride of the main coast is the ideal escape away from reality. It’s a backpacker favourite in Central America and for good reason. This entirely walkable island boasts turquoise blue sea, the smell of BBQ cooking on the beach, no cars and the islands motto ‘Go slow’ makes relaxing obligatory. Make sure to go to The Split, a sandy area where you can relax, swim and have drinks by the ‘split’ of land in between the two parts of the island. Although Belize is one of the most expensive Central American countries, it’s a much cheaper alternative to a lot of the more popular Caribbean islands. Stay in hostels to save money and although an average BBQ meal cost around 15 USD you can save money by eating street food like fry jacks and tamales. The great thing about Belize is that you can combine a trip to the Caribbean with the chance to explore the other diverse and fascinating countries in Central America. Unlike most the other Caribbean islands, Belize is so small and so centrally located that vibrancy of the rest of Central America is just a bus ride away. So, Belize may be the ideal choice for you if you’re after a little bit of everything. Like most things in Belize, it’s cuisine has a little bit of everything. One of the favourites is BBQ which was always my go to. A typical BBQ meal costs around 15-20 USD and revolved around marinated jerk chicken, fish, prawns or conch. This then comes with a choice of sides like baked potatoes, beans, veg or rice. Rum punch also generally made an appearance at the dinner table. A lot of other Belizean staples have Latin influences. Tamales are a traditional snack made of corn starch and filled with a variety of foods, and these are found all over Central and South America. Also a typical Belizean meal of chicken, rice, beans and tortillas is not dissimilar to what you’d have anywhere else in the region. I also loved eating out in the ‘hipster’ cafes in Caye Caulker where you can find vegan food, brunch, falafel and smoothies. It would be hard tp not witness the diversity between Belize and the other Central American countries and not wonder about its history. Once a former English colony, Belize was then used as a base for slaves who were bought over from Africa to work in the logwood industry hence its strong Afro-Caribbean influence. Belize is also fascinating due to all its Mayan ruins that are dotted about over the country. Lastly Belize is the only English-speaking country in Central America so it can make for a nice break if you’re travelling around Spanish-speaking areas for a while. So, whether you’re looking for a short trip away or a longer trip around Central America, be sure to add Belize to your list. Although small this fun loving country packs a punch and delivers a beautiful coastline, reggae music and the chance to watch the sunset, with a glass of rum punch.